How does the work of a few IT consultants turn into a growth company employing two dozen people? 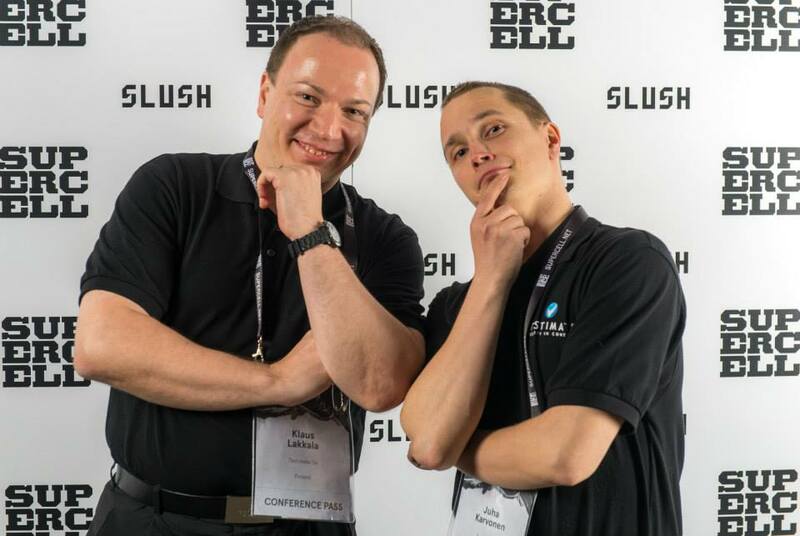 This is the story of Testimate as replayed by two of the founders, Juha Karvonen and Klaus Lakkala. Testimate Ltd was founded in October 2011. At the time, Finnish economy was struggling: the Nokia mobile phone business was facing a downward spiral and the gloomy trend was spreading across the IT field. The omens for withdrawing from paid employment and starting a new business were less than ideal. Juha Karvonen: Well, when you start off at the bottom, there’s no other way than up really. Among us founders, we had worked in testing consultancy for a good while, and we had a good vision of how things could be done even better. Running our own business seemed like an interesting prospect. Klaus Lakkala: In consultancy, people sell their own competence, and that’s something we already knew. With laptops and phones as pretty much the only initial investments, the risk seemed bearable. The founding team got off to a good start, in fact, as projects continued through our own company. Our first year passed hard at work, but then, several protects came to an end, and our workload suddenly dropped. JK: It didn’t take us long to realise that we should get started with selling. We humbly grabbed our phones and started calling any and all of our contacts, warm and cold. After a few months of active selling and a bunch of customer meetings, we luckily came across a customer project which in the end turned out to last for whole three years. This order was crucial in helping our small consultancy firm rise from its humble beginnings and turn into a bigger business. After the dry period, the company started gaining customers and orders at an increasing pace. The tiny founding team started to gather a financial buffer for the company. In 2014, a point was reached at which the company hired its first employee. JK: Right from the get-go, we had entertained the thought of steady growth. Since we seemed to attract great customers and continuous demand, we decided to take on new talent. We figured that volume will give us security and that doing a good job always pulls more demand. KL: I have to admit that we also had our share of good luck in the process, as we hired our first employee before we had even landed a customer project. Fortunately, we quickly closed a suitable project. Our second employee was hired at the turn of 2014–2015, and by the end of 2015, we already had six employees and also subcontracted some of the work. KL: In those days, it was relatively easy to keep doubling our turnover and employee number. We aimed at steady, controlled growth. For new employees, we always tried to secure order book visibility six months ahead – this gave us the confidence to sign new employment contracts. In 2016, only two new employees joined our expanding consultancy firm, whereas in 2017, the number of employees again doubled. Beginning of 2019, Testimate employs 20 testing experts. The steady growth has been founded on successful recruitment decisions and high customer satisfaction. JK: We’ve been able to find great employees. In our recruitment process, we have stressed not only testing expertise but also the importance of customer work. By this we mean really understanding customer needs and adjusting one’s own work to those exact needs. KL: Our employees are the company’s face to our customers. They must have quite liked the face, as most of our customerships have been long-standing. We have also had a very low staff turnover. Throughout Testimate’s history, we have only had two employees leave the company for new challenges. KL: Meaningful work is key: if there’s nothing to do, you don’t have to sit on your hands. We always try to find sensible work for everyone. JK: On top of that, frankly speaking, our compensation is very competitive. If you do a good job and secure work for yourself, you have monthly bonuses coming your way. We have no zero-hour contracts. Testimate doesn’t have its own premises, as we work side by side with our customers. We have weekly meetings online, and the company chat serves as our hotline. A few times a year the team gathers together for training and having fun together. 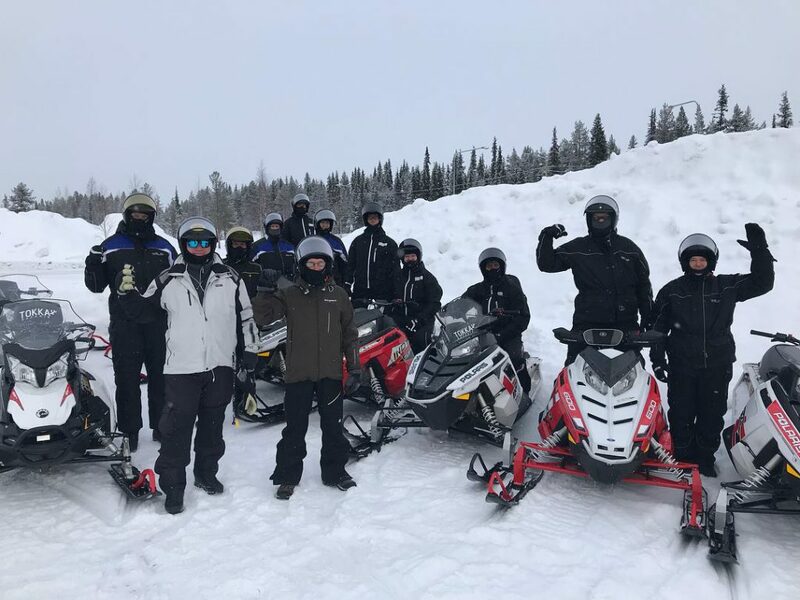 The latest get-together was a traditional weekend trip to snowy Ruka. Testimate keeps pursuing new growth, but with no pressure or hurry. The founders themselves are still hard at work with customer projects. JK: Customer work keeps you alert and your tools sharp. The fact of the matter is that in a growing company, administrative tasks eat up an increasing amount of time. Recruitment, sales and customership management all take quite a bit of time. Testimate’s consultants have also been seen roaming outside the Helsinki metropolitan area, such as Pori, Turku and Lahti. Projects have also been completed in other Nordic countries and the Baltic countries. One highly interesting new location for growth is up north, in Oulu. KL: The IT field is blooming in Oulu, so we find it only natural to boost our presence in the area. We’re confident that the same growth strategy, based on good, long-term customerships, also works there. Would you like to join the Testimate crew? Or do you want these guys to test your product or service? Get in touch with Klasu and Juha today!